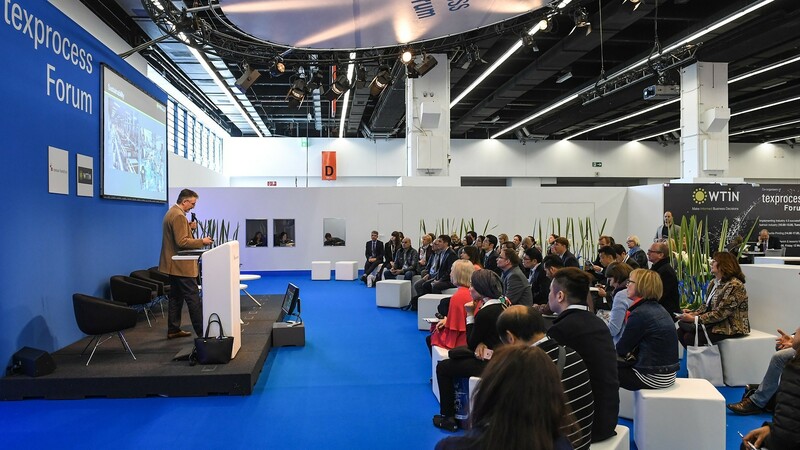 International textile fair Texprocess, slated to be held in Frankfurt am Main from 14 to 17 May 2019, will focus on individualization, automation, sustainability and digitalization with future-oriented technological developments in the apparel and textile industry. 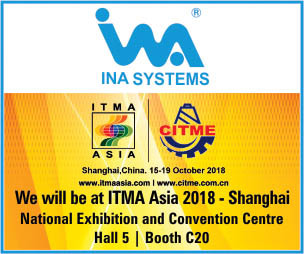 The textile show will have an array of technologies on display and communicate about the impact of Industry 4.0. Trade visitors from the entire fashion and clothing industry, upholstered-furniture manufacturers and all processors of textiles are to be seen at the fair. This year the fair is promised to be housing an even broader range of machinery and methods for processing textile and flexible materials. The show is expecting more visitors as well. “The coming Texprocess will be taking off even further. While on all sides people are talking of Industry 4.0, at Texprocess it will be all about talking of Impact 4.0. Trade visitors will find an impressive range of technologies which in every respect are having formative effects on the way we manufacture and process textiles, effects which will continue in future”, says Olaf Schmidt, Vice President Textiles and Textile Technologies at Messe Frankfurt. At the last Texprocess, in May 2017, 312 exhibitors from 35 countries showed 13,718 visitors from 109 countries the latest developments in the processing of textile and flexible materials. Moreover 11,399 visitors to Tech textile were found for information about the range at Texprocess. The two fairs in all welcomed 1,789 exhibitors from 66 countries and over 47,500 visitors from 114 countries. Following the success of the last event, Texprocess, in collaboration with the German Institutes of Textile and Fibre Research in Denkendorf (Institute fürTextil- und FaserforschungDenkendorf – DITF) and partners from industry, will once again showcase a ‘Digital Textile Micro-Factory’ display for three production lines- apparel manufacture, 3D-knitted shoes and processing technical textiles, largely for the motor-vehicle and furniture industries.The fashion industry plays a central role in the ‘Digital Textile Micro-Factory’ and it is believed to be the way forward to the future.Industry 4.0 initiative technologies such as 3D image to finished prototype in 18 minutes, automated processing of technical textiles personalized for the individual customer are to be showcased at the fair. The Institute for Textile Technology (ITA) of the RWTH Aachen University (project coordination), Gerber Technology GmbH (cutting), the Korea Institute for Industrial Technology KITECH (electronics), VETRON TYPICAL Europe GmbH (sewing), Wear it GmbH (product design and concept) and ZSK Stickmaschinen GmbH (embroidery) are all involved with the “Smart Textiles Micro-Factory” at the Texprocess. The Institute for Textile Technology (ITA) at the RWTH Aachen University, together with partners from industry and research, will demonstrating the production of a ‘smart’ pillow which, with the help of integrated LEDs, provides new ways of interaction, as displayed at the at Heim textile 2019, in advance. For the fair, six companies have grouped together under the ‘World of Digital Fashion’ umbrella to work on visualization, CAD-cutting systems, automated body measurement, cutting out and process automation which are Browzwear Solutions and Tronog (visualisation), Software Dr. K. Friedrich (CAD), Fision (automated body measurement), Bullmer (cutting), Gertsch Consulting and Mode Vision (process automation). Sustainability is one of the central themes of the upcoming Tech textile and Texprocess. For the first time, the two fairs will be showcasing their exhibitors’ efforts towards sustainability.On the occasion of Texprocess and Techtextil, the Texprocess Innovation Award will be given to the Innovative personalities for sustainable textile innovations and processing approaches. The Award offers not only the innovative setting of the leading international trade fair but also the opportunity to present new developments to an independent jury of experts. The presentation ceremony will be held on the first day of the fair.